Science works best when it is open. The sharing of research results, the free circulation of knowledge, and transparency in methodology are key tenets to the scientific method. This openness makes science a natural environment for collaboration. By pooling together resources, brainpower and complementary expertise, collaborative research ensures that global societal challenges can be tackled. Take the International Space Station or the now famous Higgs boson, which is particularly close to our heart, discovered at CERN by teams of scientists working together on the ATLAS and CMS experiments: these are elegant examples of international cooperation bringing light to fundamental questions about our origins and our intrinsic make-up. Collaboration brings other advantages to the table. The pooling of resources provides better value for taxpayer money by preventing the duplication of efforts and facilities. The pooling of bright minds speeds up research and helps ensure diversity and healthy competition. Add up these advantages and the conclusion is that collaboration is equally in the interest of those who do science as it is in the interest of those who fund science. Innovation, too, is a world that works best when it is open. Getting leaders and experts from industry, research institutes and entrepreneurs to discuss new challenges and opportunities openly is a more efficient way of speeding up innovation. Just as in science, cross-disciplinary exploration breaks down barriers and opens up new doors for all. Cross-functional collaboration - the mixing of leaders with different areas of expertise - has been shown to be successful for projects within large corporations, R&D departments and startups alike. The goal is to reinforce a team’s strengths by integrating the diverse competencies of engineers, business developers, designers, scientists and entrepreneurs. This approach is at the core of most models for innovation and knowledge transfer both in research institutes and industry. Innovation can happen organically, in the sense that new ideas and technologies eventually diffuse into new products or market needs. Actively investing in innovation, or innovation management, can accelerate the process. This can take the form of encouraging entrepreneurship and spin-offs, public-private R&D partnerships or consultancy. Both industry and research institutes gain from innovation management. Companies and startups benefit from the latest technology and knowledge, which adds to their competitive edge. Research institutes can increase their impact on society through the transfer of novel technology. Those who fund science and innovation will also reap rewards. Funding agencies can maximise the return on their investment in basic sciences, stimulate economic growth and create new professional opportunities for highly trained knowledge workers. Policy makers will recognise this opportunity to define common priorities on a regional level and exploit synergies between national and regional economic and research agendas. Several regional initiatives are already in place to promote public-private partnerships and to stimulate innovation through multi-stakeholder collaborations. 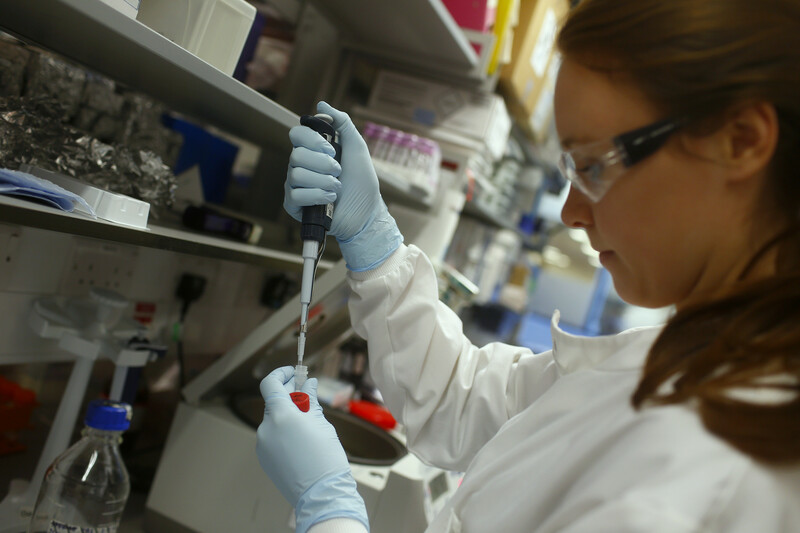 The European Research Area (ERA) is a structure set up in 2000 by the European Union to optimise multinational cooperation in the fields of medical, environmental, industrial, socioeconomic research and innovation. It has already funded successful projects ranging from water management for sustainable agriculture, to studying the challenges of women in STEM with the goal of increasing and promoting diversity. CERN too is involved. Beyond its fundamental research on the Higgs boson, CERN has established a network of Business Incubation Centres (BICs) to assist entrepreneurs and small tech businesses to bridge the gap between technical concept and market reality. Some of these businesses are using CERN’s accelerator and detector technology to bring new medical applications to the market. Another even wider initiative is the EIROforum, an umbrella organisation for a group of eight European Intergovernmental Research Organisations (EIROs) - including CERN - set up to foster a culture of European research and innovation. These regional schemes provide a fruitful environment for the local innovation landscape. Many companies and universities have knowledge transfer offices dedicated to developing strategies to create links with these regional and national initiatives, so as to fully exploit the cross-functional innovation process. New digital technologies are revolutionising the worlds of innovation and science. On one side, they are disrupting markets, for example in the fields of medtech, information and communication technologies, as well as for the media. These create many new opportunities for start-ups and the entrepreneur ecosystem, eventually bringing a range of innovative solutions to the market and society. The process of innovation and science is being disrupted too. The rise of the world wide web - incidentally itself developed at CERN - but also cloud services, big data analytics and even social media has changed the way researchers and innovators share data, ideas, and computing power. This is a fantastic opportunity for the future of science and innovation. Citizen science projects like Galaxy Zoo and Higgs Hunters , are democratising the scientific method, whilst blurring the lines between public engagement, education and professional science research. Digital technologies mean new amounts of data can be tackled. Data mining is increasingly important in science, where researchers now also focus on exploring large existing data sets instead of only designing projects to acquire new data. Machine learning and deep learning techniques for big data problems in academic research and business are so similar that industry and research compete for the best data scientists. Public-private collaboration can now be about organising joint data challenges , or the public release of scientific data for anyone to explore . Where is the place of humans in this digital revolution? More than ever, right in the centre. Digital technologies do not replace human collaboration, they facilitate it. Successful knowledge transfer requires knowledge workers to interact, communicate and brainstorm together. 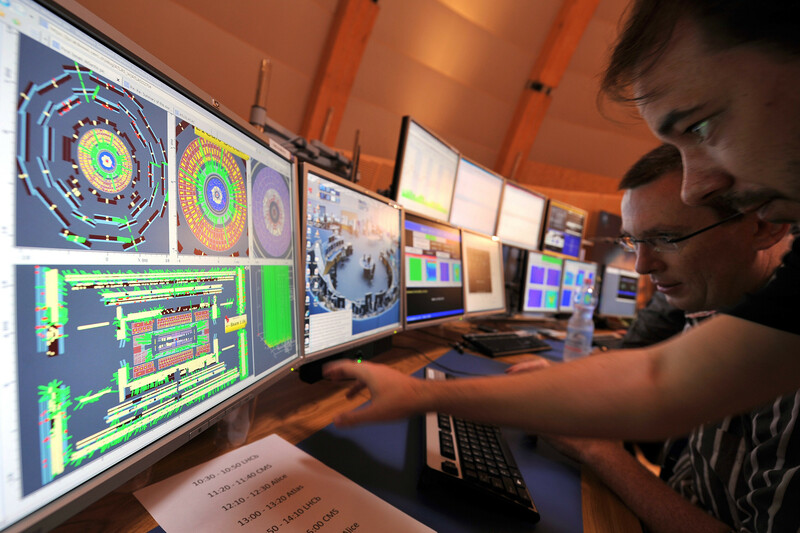 When knowledge transfer happens at CERN, the physicists, engineers and technicians involved are often contributing their time in addition to their many professional responsibilities. Ensuring they connect with the right collaborators is crucial to them and their industry counterparts. Cross-disciplinary exploration is most successful when experts in different fields know and trust each other. Technology makes matching the right people together easier. Face-to-face encounters and networking opportunities are still invaluable, as is a solid understanding of cultural bridges between different countries, functions and backgrounds. Humans still remain at the centre of the knowledge economy. So while the digital revolution has brought new solutions and opportunities to economic and societal challenges, humans are still the essential ingredient - as always. Remembering this may nurture many revolutions to come.